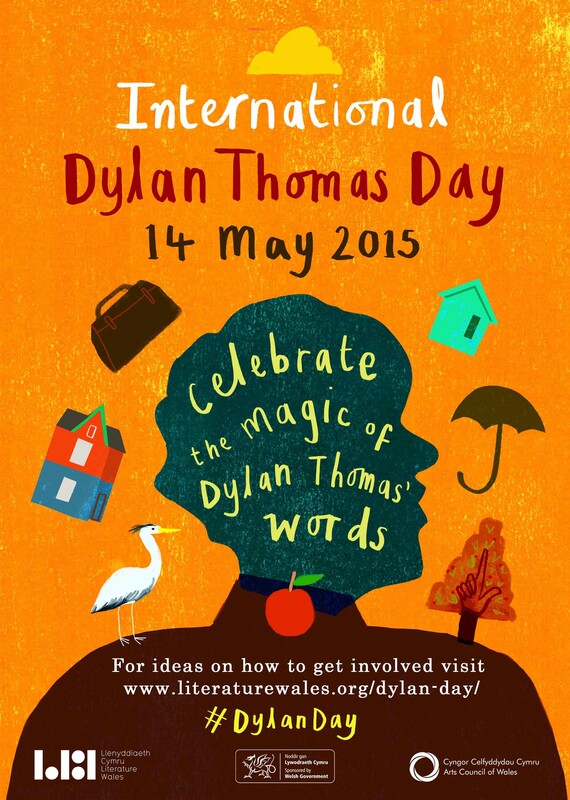 14 May 2015 will mark the first annual International Dylan Thomas Day, a day when we are invited to “celebrate the magic of Dylan Thomas’ words”. May 14th is the anniversary of the first stage performance of Under Milk Wood, when Dylan led a cast of actors on stage at the 92Y Poetry Center in New York in 1953. Special events are taking place in Wales, London, Oxford, Italy and New York, and everyone is encouraged to find their own way to celebrate Dylan on the day. There will be #DylanDay activity on social media, the replica of Dylan’s writing shed will be visiting schools, and the new A Dylan Odyssey book published by Graffeg will be launched. The Welsh Government has funded the promotion of the day for three years, co-ordinated by Literature Wales, and it is hoped that this annual celebration will build on the legacy created by last year’s centenary celebrations. For the latest information on International Dylan Thomas Day check the Literature Wales website and the Dylan Day facebook page. And for more information on events during May and beyond please see our comprehensive Events page. Congratulations to the Dylan Thomas Society of Australia who marked their twentieth anniversary on March 12th this year. The thriving society stages regular events and outings, and joined forces with the Sydney Welsh Choir during the centenary year to stage a tour of Wales, Ireland and England. Society President Clive Woosnam contributed an excellent piece on the society for the recently published Dylan Thomas : A Centenary Celebration edited by Hannah Ellis. 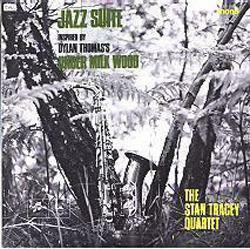 May 2015 also marks the fiftieth anniversary of the recording of Stan Tracey’s Jazz Suite inspired by Dylan Thomas’ Under Milk Wood. The suite is regarded as one of the finest jazz recordings ever made in the UK and was composed by Tracey after he’d been listening to an LP version of the BBC’s 1954 adaptation of Under Milk Wood. Tracey died in 2013, but his son Clark Tracey and musicians including original saxophonist Bobby Wellins have been performing the work live to celebrate the anniversary. Tracey’s grandson Ben Tracey talked to LondonJazzNews about the piece ahead of their recent tour. “…as well as its distinctive identity, its people too have given so much to the UK. They have excelled in every aspect of life from the great writers like Dylan Thomas and Gillian Clarke, to Hollywood stars like Catherine Zeta Jones and Richard Burton…..”. Dylan was also mentioned in the Conservative party’s Welsh manifesto. 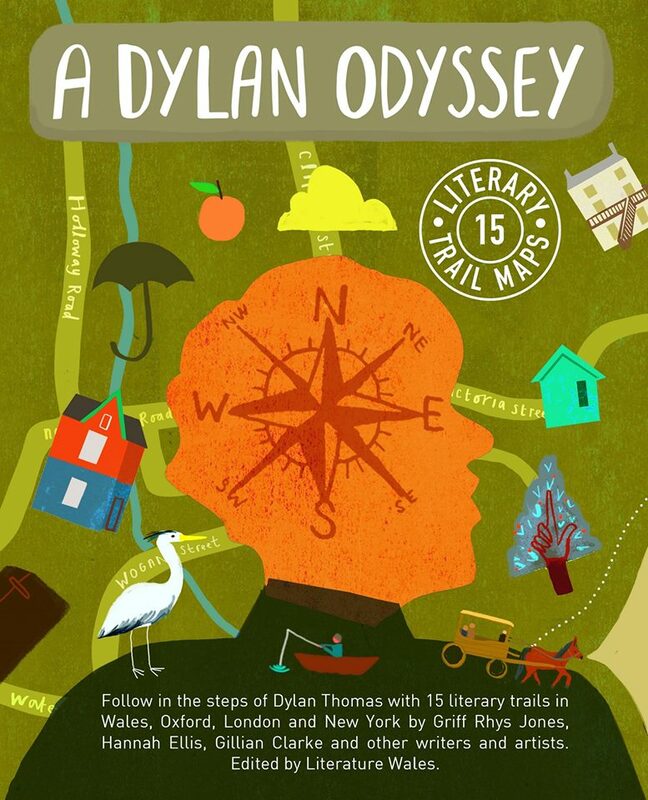 Published by Graffeg on 14 May to mark International Dylan Thomas Day is A Dylan Odyssey. The book is based on Literature Wales’ 2014 Dylan Thomas-inspired literary tourism programme and will feature fifteen Dylan Thomas trails across Wales, London, Oxford and New York. 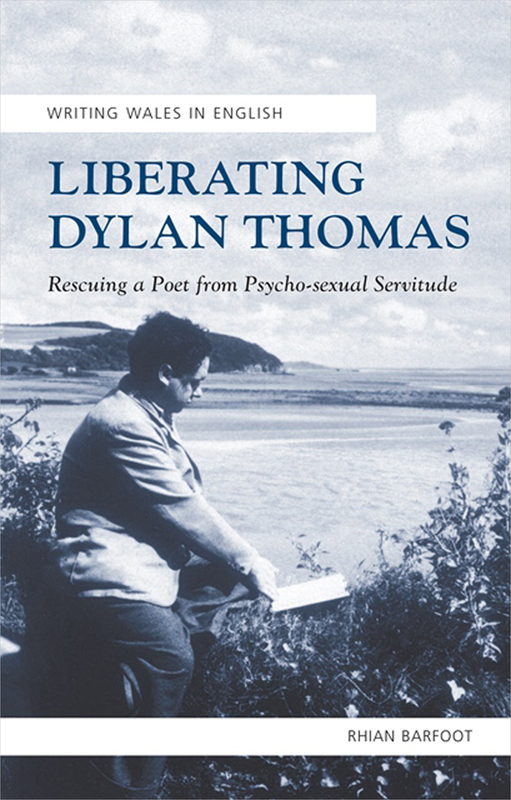 Liberating Dylan Thomas : Rescuing a Poet from Psycho-Sexual Servitude by Rhian Barfoot is from the Writing Wales in English series, published by University of Wales Press. 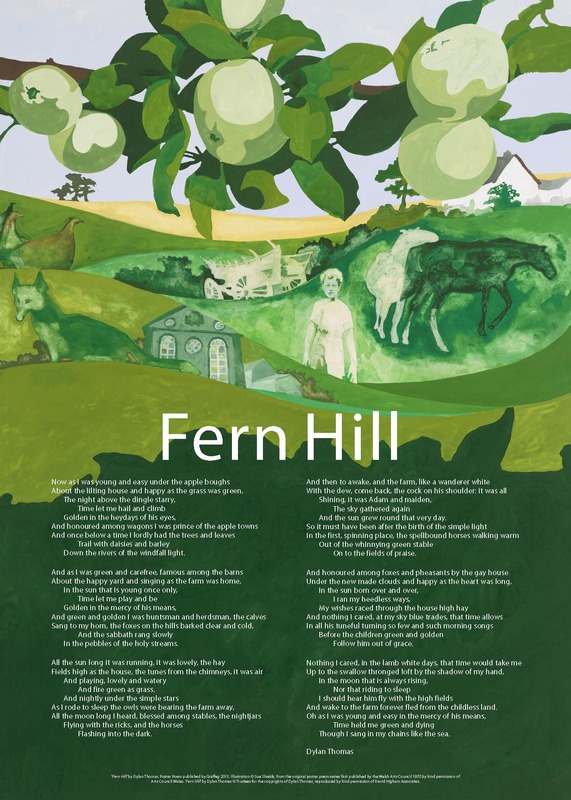 The classic Fern Hill poster designed by Sue Shields and produced in the 1970s by the Wales Art Council has been reissued by Graffeg alongside other posters in the same series. 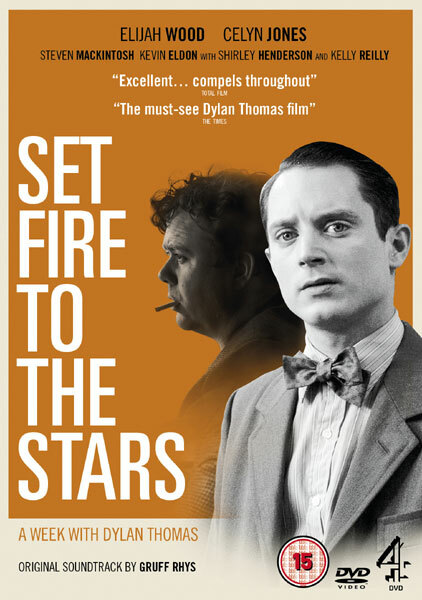 Set Fire To The Stars has been released on DVD in the UK. The film will also be released in the US after the North American rights were acquired by Strand. Following it’s screening at BAFTA in February, the new film version of Under Milk Wood directed by Kevin Allen had an invitation only screening at the Laugharne Festival. It will go on general release later this year. 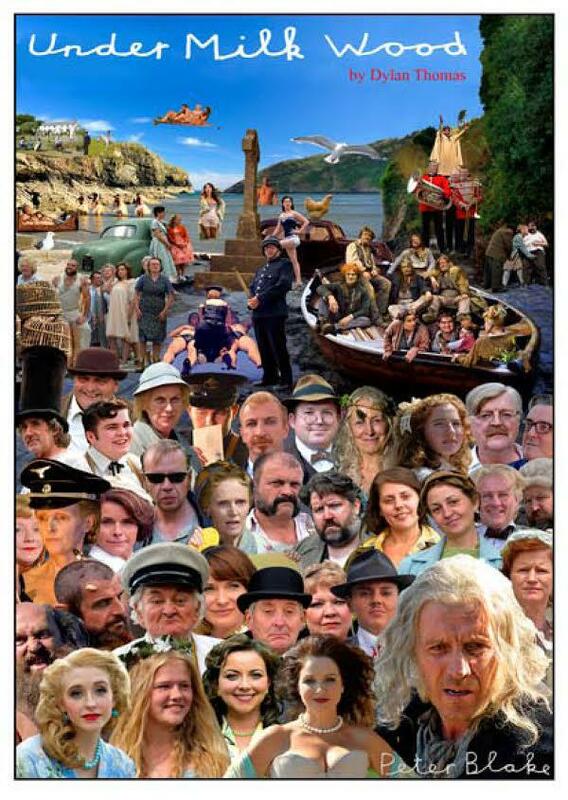 Sir Peter Blake has designed a special promotional postcard for the film. The film will be re-imagined as a live performance by Kevin Allen at the No 6 Festival in Portmeirion in September. 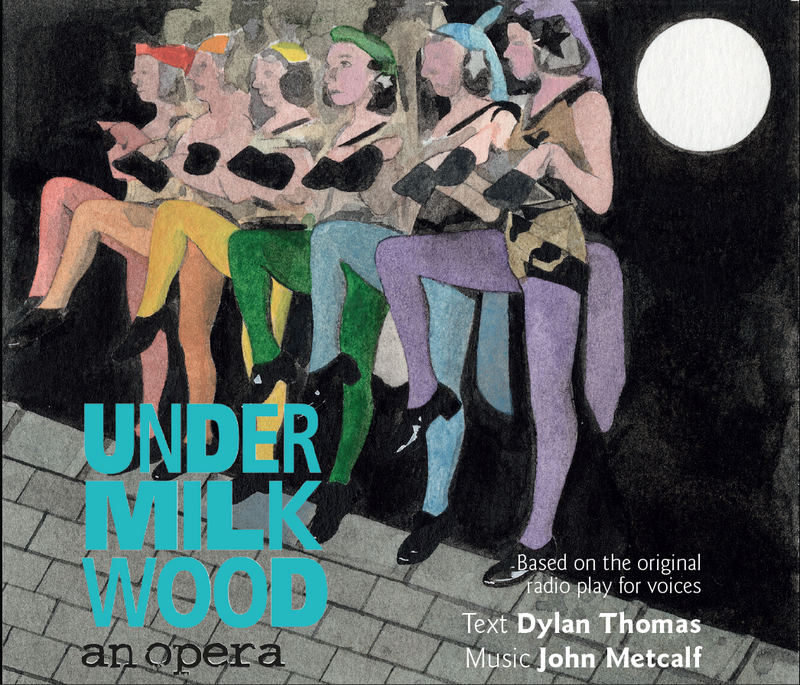 The Ty-Cerdd studio recording of Under Milk Wood : An Opera by John Metcalf has had an international release on CD. The recording has also been chosen as the featured opera for British Airways flights during May, and the Taliesin Arts Centre production of the opera has been short-listed for an RPS Music Award. The Dylan Thomas drama A Poet in New York, scripted by Andrew Davies and made by Modern TV for the BBC, has also been picking up awards and nominations. 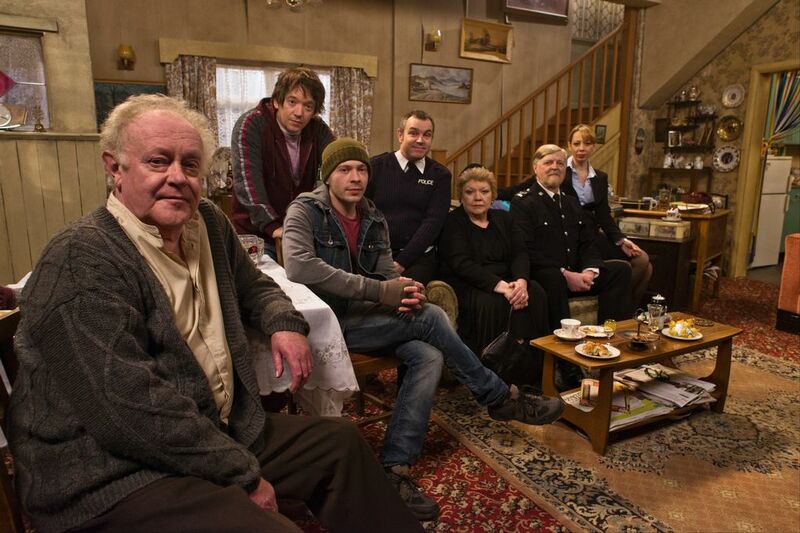 The drama has picked up a BAFTA nomination for Best Single Drama, as well as a nomination for the same category from the Broadcasting Press Guild. 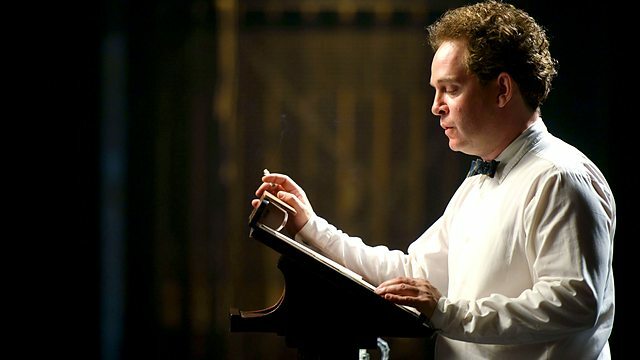 Tom Hollander, who played Dylan, was awarded the Royal Television Society award for best actor – male. An hour long special episode of the BBC Wales comedy High Hopes had a decidedly Dylan Thomas flavour. The episode titled “Do Not Go Gentle” was the first made following the death of leading actress Margaret John and featured a plot about the attempt to forge a Dylan Thomas poem as well as numerous references to Dylan’s work. You might be interested to know that a 1961 US TV broadcast featuring Richard Burton reading A Child’s Christmas In Wales whilst walking around New York can be found on DVD. Dylan Watch on TV & Radio – Radio 4’s Poetry Please featured Dylan’s ‘The Force That Through The Green Fuse’, BBC Two’s The Great Antiques Map of Britain featured a piece on Dylan Thomas with Geoff Haden from the Dylan Thomas birthplace, a question about Dylan Thomas was part of the Brain of Britain final on Radio 4, and Sky Sports F1 have been using ‘Do Not Go Gentle In To That Good Night’ in a trailer for Formula One coverage. Perhaps prophetically, James May quoted from Dylan’s ‘Do Not Go Gentle Into That Good Night’ in a piece for a recent episode of BBC Top Gear. A young Dylan Thomas featured in a cartoon for The Spectator, the Irish Times ran a feature on Welsh writers for St St David’s Day, Gruff Rhys talked to the Daily Post about writing the music for the Dylan Thomas film Set Fire To The Stars, a Theodore Dalrymple piece for the City Journal looked at Dylan Thomas ‘the last true bohemian’, Elijah Wood gave an interview about Set Fire To The Stars to the National Student, and American poet Helen Vendler talked about how she was influenced by Dylan Thomas in an interview for the Harvard Gazzette. Swansea University’s College of Arts and Humanities is inviting applications for a fully funded PhD studentship in English Literature that will involve studying the ‘lost notebook’ recently acquired by the University. The High Court has quashed plans to erect a wind turbine that could be seen from the Dylan Thomas Boathouse at Laugharne. The Birthplace have launched a Friends scheme offering members the opportunity to help preserve the historic literary home as well as receive a series of membership benefits. Geoff Haden from the Birthplace has also made an appeal for support in attempts to preserve the historic integrity of room 205 in the Chelsea Hotel, New York. The hotel, where Dylan was staying in room 205 at the time of his death in 1953, is currently being refurbished by new owners. Prizes have been awarded for the 2014 Dylanathon photographic competition which was hosted by the Birthplace. The Cross Keys public house in Chelsea, a former drinking haunt of Dylans, is to reopen, having been closed since 2012. Dylan’s centenary was marked during a discussion on poets at February’s Kolkata Literature Festival. Dylan features in a newly released app based on an audio trail for the village of Llanybri on the Llansteffan peninsular in Carmarthenshire. 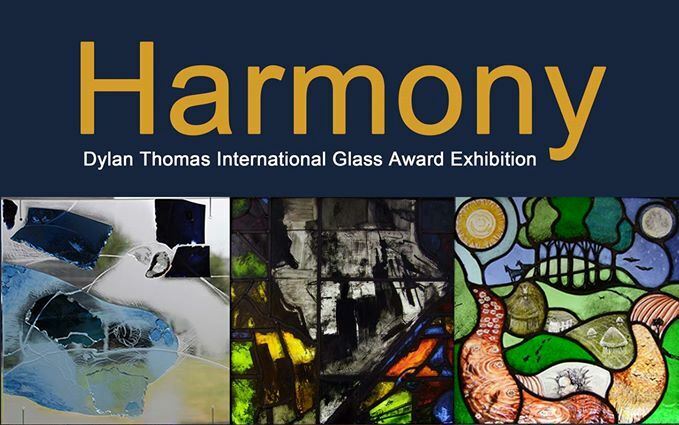 Following a spell at the Senedd during February, the International Dylan Thomas Glass Exhibition is on show at the Stained Glass Museum at Ely Cathedral until 4th June. The animation of The Hunchback in the Park commissioned by the BBC as part of the celebrations for Dylan’s centenary has won the award for animation at the 2015 Celtic Media Awards. Following a visit by the replica of Dylan’s Laugharne writing shed to the Wales Festival of Architecture in 2014, the Royal Society of Architects in Wales, in association with Literature Wales, have announced a design competition for a twenty-first century writer’s shed for the Tŷ Newydd Writers’ Centre. A blue plaque has been erected at the former Swansea home of Sir Kingsley Amis at The Grove, Uplands. The novelist was a lecturer at Swansea University for 12 years until 1961. Amis was often one of Dylan’s fiercest critics yet served for a time as a trustee for the Dylan Thomas Literary Estate. 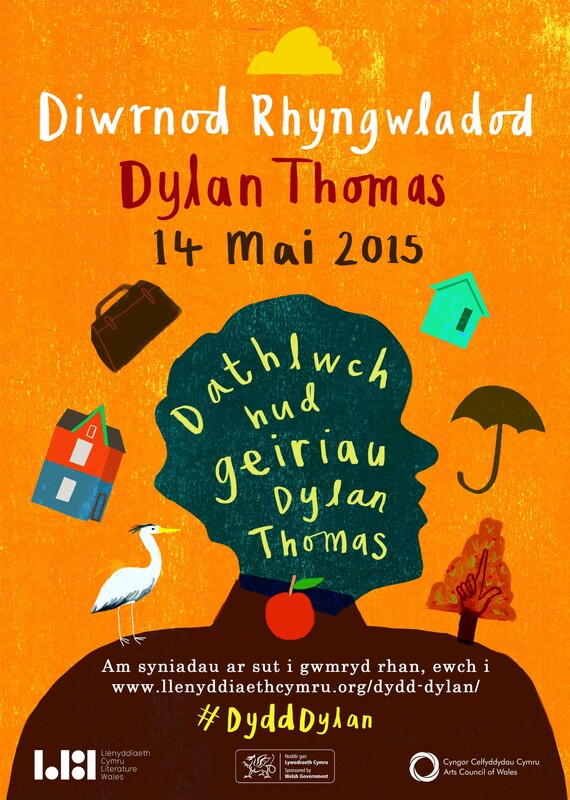 High definition copies of the Dylan Day poster in English and Welsh can be downloaded from the Literature Wales website.